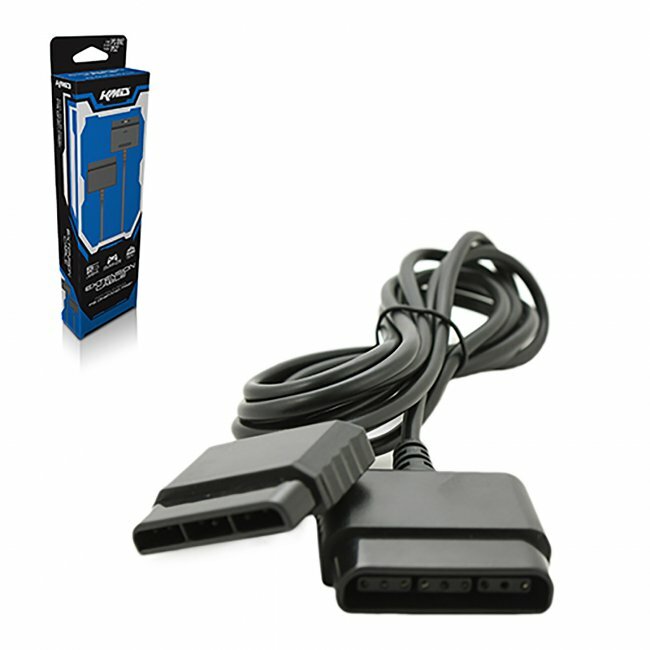 This cable easily attaches to any PS2 compatible controller and puts you a comfortable distance from the TV. 6-foot cable length. I'm really glad I bought this. It works perfectly. I ordered this with my ps2 controllers and it worked out fabulously for what I needed it for. I have no problems or complaints. These work great! I had one already and I ordered 2 more ( one for me and one for my gaming Best friend. Definitely worth the money and worth having. Very practible to play with a longer cable. I love these cable extensions. I have bought 5 of them. They work great when you have littler kids so that they dont yank the system off the entertainment center everytime they move. Now we can play in comfort. Extensions work great. This cable works perfectly and enables me to sit back and relax while playing. There is no lag at all. It's a definite must-have for anyone with a generic PS2 controller. This cable does what it says it does. I have had no problems with the cable. My whole order was shipped, and arrived very quickly. I have a new order that I placed on Dec. 3. It was shipped the next day. The extension cord works fine. I am happy with the PS2 and the accessories I bought here. Can sit away from tv to play. Excellent!!! Cable works great and I now can play from the comfort of my couch!!!! I have a after market ps2 controller that has a short cord and this 6ft. extension cord is a big help. now I can sit across the room and relax on my bed instead of right by the ps2.